At Action Garage Door, our experts are committed to providing the best Schertz garage door repair and installation services. Over the past 30 years, our passion for delivering 100 percent customer satisfaction on every job has helped us exceed the high expectations of more than 400,000 people across Texas. When you need help with garage door repair or replacement in Schertz or elsewhere in the San Antonio region, the professionals at our family-owned company will work hard to solve your problem quickly and effectively, with minimal disruption to your daily routine. Action Garage Door was founded in 1984 on the principle of providing first-rate service with the highest levels of integrity and honesty. As part of that philosophy, we hire only the most skilled, trustworthy technicians, use high-quality products built to stand up to the elements, and pull any permits necessary to ensure that our work complies with local codes. Our Schertz garage door repair experts have the experience and knowledge necessary to tackle any job, no matter how extensive. We also require all of our technicians to undergo a thorough screening, so you can invite them onto your residential or commercial property with total peace of mind. 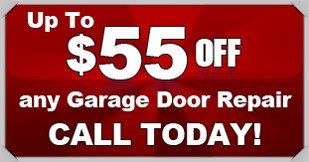 In addition to offering top-notch repair services in Schertz, we can install a new garage door at your home or business. We carry a wide range of products from the best manufacturers in the industry. Whether you want a commercial door from Amarr, a residential door from Chi or anything else, we’ll help you choose and install the perfect model as quickly as possible so you can start enjoying the benefits. When you work with Action Garage Door, we guarantee that you’ll end up with a door that will perfectly complement your residential or commercial property, reliably protect your car and belongings, and last for many years. The professionals with Action Garage Door are ready to handle any Schertz garage door repair you need. Contact us online or call us to schedule an appointment. When you choose us for your garage door repair or installation, you can count on us to get the job done right the first time.